A new short course to support a policy change? A training program rolled out to stakeholders? Event facilitation and feedback to decision makers? “Thesis whispering” to finalise an excellent research projects. 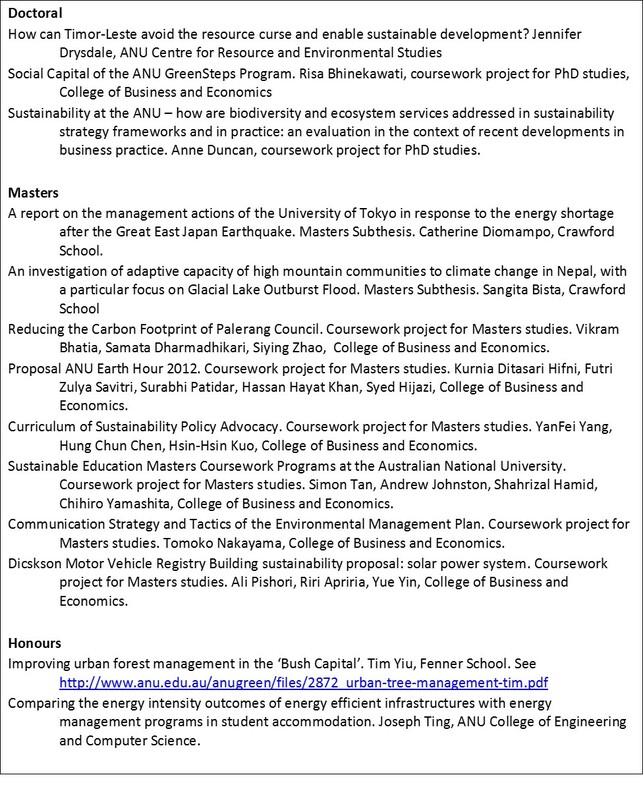 Su was the 2011 Course Convenor for Corporate Sustainability (MGMT2001) and Managing for Sustainability (MGMT7007) at the ANU College of Business and Economics. Her student evaluation results were above the College and University average. She was invited to run the courses again, but had to decline due to other work priorities. 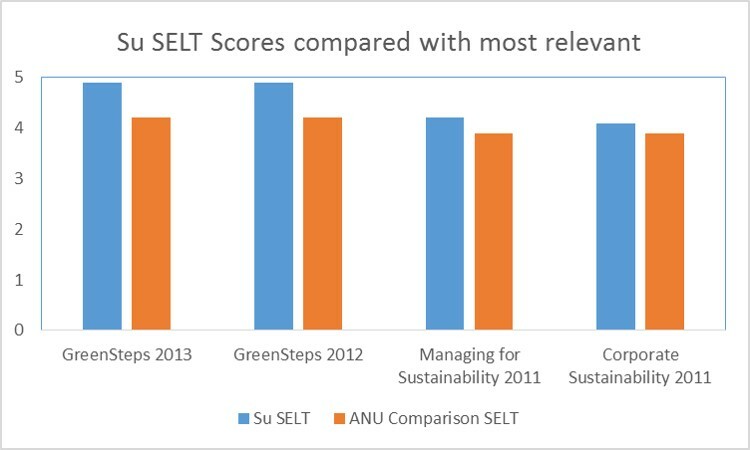 Su taught GreenSteps for the ANU from 2008-13, achieving student evaluation scores of 4.9 out of 5. The course teaches negotiation skills, presentation skills, reporting writing among other skills. Su has been the chair of many groups including: ANU Hazardous Waste Planning Committee; ANU Green Information Communication Technology Working Group; Friends of Mongarlowe River, Rivercare Group. She has coordinated the ANU Green Fund Board and the ANU Environmental Management Planning Committee. Su’s university education includes masters courses in Facilitating Change in Organisations and Facilitation Skills from the University of Queensland. Su has also taken short courses in facilitation. Su trained the incoming student leaders of ANU halls of residence in facilitation skills from 2010 to 2013. Su has received highly positive student evaluations for her teaching. Example’s of Su’s higher degree research supervision are in the box below.